As of today Medium Rotation is publishing The Medium Rotation Top-100 Chart using spin data of Spinitron stations and we're no longer publishing The Spinitron Chart here. We are excited about this change and take this opportunity to explain the context and our reasons. We produced The Spinitron Chart as a marketing tool to attract attention of radio stations to Spinitron's playlist management service. As such, the chart was always peripheral to that core business. But things have changed since we introduced the Spinitron Top-25 in late 2011.The number of college and community radio stations using Spinitron has grown steadily in recent years. At present we have nearly 200 stations and we process roughly one new spin every five seconds. Interest from the music industry in our aggregate spin data has grown at the same time. To address this interest, we have been building tools to analyze the raw data. The tools allow users to produce custom analytic results. A simple example of such a tool is Spinitron-wide search. An example of an analytic result is a Top-N chart. In recent months we have received many inquiries about The Spinitron Chart from stations, labels, promoters and artists, often citing the uncertainty about CMJ's future. We faced the question: Do we plan to grow the chart into something more significant to the music business? We decided no. Instead we found a partner to publish a chart powered by Spinitron data and tools. We felt it was better for all involved if Spinitron focuses on playlists, data and analytic tools while a separate organization takes responsibility for a chart based on Spinitron data. Medium Rotation's independence, history, and reputation makes them the ideal partner to publish the chart. Medium Rotation have the background and skills to publish a legitimate music chart that they can explain and defend to all. This frees Spinitron from potential pressures and conflicts of being a chart publisher at the same time as serving stations and providing data tools. Medium Rotation's relaunch and reinvigoration is exciting and comes at an opportune moment when our community of radio and music people need it. We are pleased to support Tenni and Omar and their cohort in this project. Angel Olsen's My Woman still tops the chart with 156 spins, followed by Wilco, LVL UP, Warpaint and Kishi Bashi. 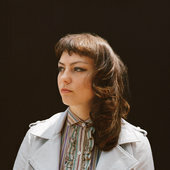 Angel Olsen's My Woman leads the chart again with 165 spins, followed by Wilco, Frank Ocean, De La Soul, Kishi Bashi and Nick Cave & The Bad Seeds. Angel Olsen's My Woman tops the chart again with 160 spins, followed by Blood Orange, De La Soul, The Avalanches and Thee Oh Sees. The chart shows the top 40. Angel Olsen's My Woman tops the chart with 106 spins, followed by Thee Oh Sees, The Avalanches, Of Montreal and Blood Orange. The chart shows the top 40. Thee Oh Sees' A Weird Exits tops the chart with 98 spins, followed by Frank Ocean, BadBadNotGood, The Avalanches and Dinosaur Jr.. 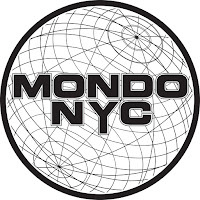 Highly anticipated music festival & conference Mondo.NYC just got better for Spinitron users! Your promo code is posted on the Spinitron member login page. To get the discount, go to Ticketfly and enter the code in the "Promo Code" box and click "Apply Code". It will unlock a super low rate of $175. This rate is only available through pre-registration, not for walkup. 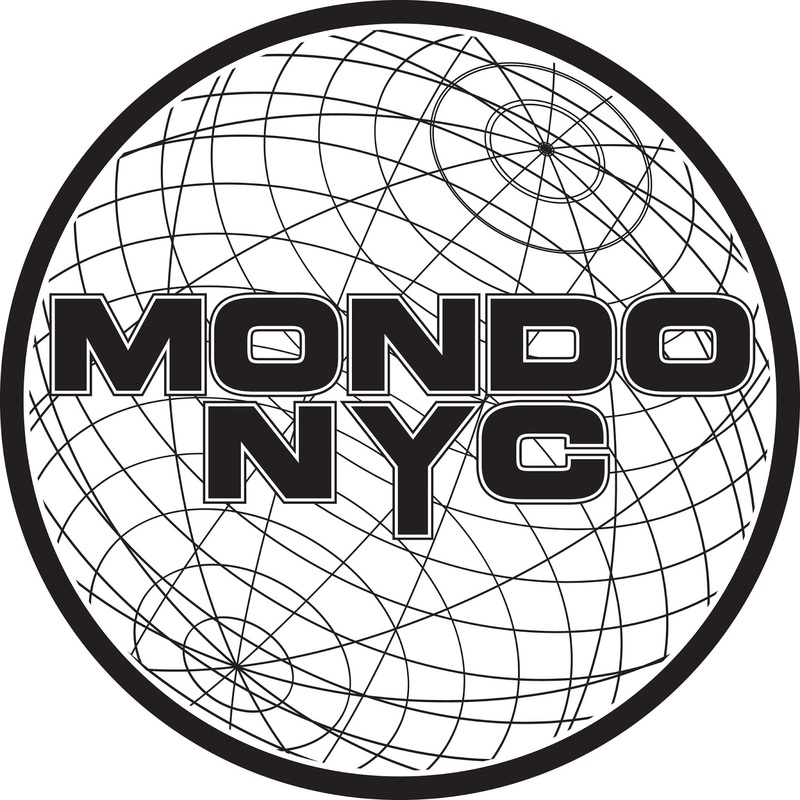 Spinitron will be on a panel on Sep 16 called Promoting Your Music to Radio in a Brave New World Hope to see you at Mondo.NYC. 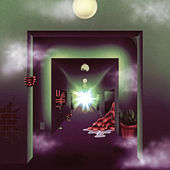 Thee Oh Sees' A Weird Exits tops the chart with 79 spins, followed by Dinosaur Jr., BadBadNotGood, The Avalanches and The Julie Ruin. Spinitron will be at Mondo.NYC next month. It’s a big music festival and conference in New York with a great lineup of bands, sessions and panelists. Spinitron will be on a panel on Friday called Promoting Your Music to Radio in a Brave New World. If you can make it to Mondo.NYC, look out for or contact us. Mondo.NYC, launching September 14-18, 2016 in New York City, is headquartered at and presented in partnership with New York University. Mondo is an annual gathering of music and tech industry insiders and innovators, addressing issues of content creation and ownership, college, public and internet radio, policy, management, distribution, rights and more, all the while bridging the gap between artists and their art, commerce and the technological opportunities and challenges driving today’s music business. You can check out the session schedule and the list of speakers. Simultaneously, Mondo presents the world’s best and brightest artists – from breakthrough artists to musicians on the precipice of success to newcomers – taking over iconic venues across Manhattan and Brooklyn for five days and nights of dynamic live music. It will offer a broad array of music genres, providing Mondo attendees an up close and personal opportunity to discover the world's best new music. See the full artist lineup for details. New York City, music capital of the world and hub of start-up innovation, does not have a breakthrough music summit and festival that simultaneously attracts key business leaders, innovators, artists and fans. At this pivotal moment in the evolution of music, pop culture, technology and communications, there has never been a more crucial time for veterans and pioneers alike to convene, connect, disrupt and collaborate. Mondo.NYC is that event. Join us in NYC on September 14-18. Tickets are available through Ticketfly. Spinitron users get a special rate, promo code will be posted shortly! Hope to see you at Mondo.NYC. Dinosaur Jr.'s Give a Glimpse of What Yer Not tops the chart again with 95 spins, followed by The Avalanches, BadBadNotGood, The Julie Ruin and Case/lang/veirs. 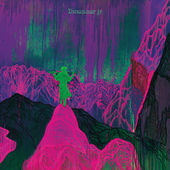 Dinosaur Jr.'s Give a Glimpse of What Yer Not tops the chart with 91 spins, followed by The Avalanches, BadBadNotGood, Whitney and Deerhoof. 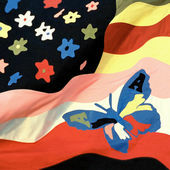 The Avalanches' Wildflower tops the chart with 85 spins, followed by Dinosaur Jr., BadBadNotGood, The Julie Ruin and Whitney. Alan Vega died last week. 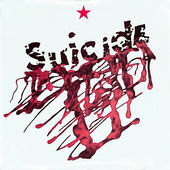 Stations paid tribute to him, putting Suicide's self titled album Suicide on the top of the chart with 99 spins. 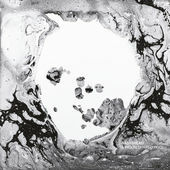 It is followed by The Avalanches, Deerhoof, Mitski and Badbadnotgood. 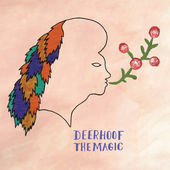 Deerhoof's The Magic tops the chart with 87 spins, followed by Radiohead, Badbadnotgood, Paul Simon and Case/lang/veirs. 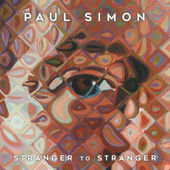 Paul Simon's Stranger to Stranger still leads the chart with 92 spins, followed by Deerhoof, Mitski, Whitney and Case/lang/veirs. For a change, this week we compiled a Top 40 chart. Paul Simon's Stranger to Stranger tops the chart again with 107 spins, followed by Mitski, Radiohead, Deerhoof and Allen Toussaint. 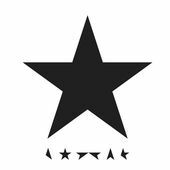 Prince died last week. 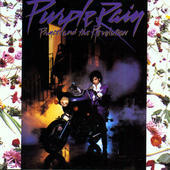 Stations paid tribute to him, putting Prince & The Revolution's Purple Rain on the top of the chart with 360 spins. It is followed by Parquet Courts, Prince's 1999, Frankie Cosmos and Tacocat. 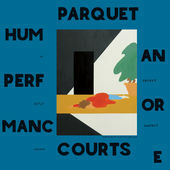 Parquet Courts' Human Performance tops the chart with 177 spins, followed by Frankie Cosmos, Tacocat, Andrew Bird and M83. Parquet Courts' Human Performance tops the chart with 128 spins, followed by Andrew Bird, Frankie Cosmos, Santigold and Thao & The Get Down Stay Down. 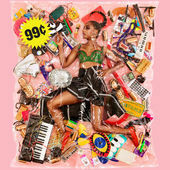 Santigold's 99 Cents tops the chart with 103 spins, followed by Thao & The Get Down Stay Down, Andrew Bird, Tacocat and Charles Bradley. A Tribe Called Quest's Phife Dawg died last week. 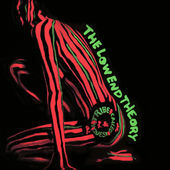 Stations paid tribute to him, putting the album The Low End Theory on the top of the chart with 103 spins. 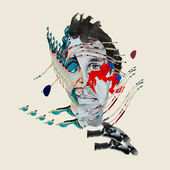 It is followed by Bonnie Raitt, Thao & The Get Down Stay Down, Animal Collective and Damien Jurado. 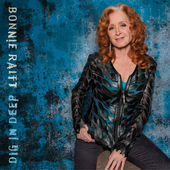 Bonnie Raitt's Dig in Deep tops the chart with 102 spins, followed by Santigold, Thao & The Get Down Stay Down, Animal Collective and Mothers. Bonnie Raitt's Dig in Deep tops the chart with 105 spins, followed by Santigold, Animal Collective, Porches and Thao & The Get Down Stay Down. 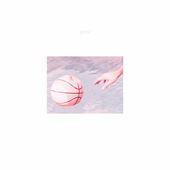 Porches' Pool tops the chart with 119 spins, followed by DIIV, Savages, Dr. Dog and Hinds. You may have already seen the press release announcing the merger of Spinitron and Congera, the company building Audience Engine. That document is intended for general audiences and talks about the big picture. We imagine it will raise questions about what the merge means for stations using Spinitron, so we wrote this Q&A to address the most obvious ones. If your questions aren’t covered here, feel free to ask. The Spinitron online service you use will continue to exist and be developed. It represents a key part of Audience Engine so it isn’t going away. No. We are committing ourselves to the merged organization for the long term. Will our fees go up? No. Fees for existing users will not change and fees quoted to users trialling Spinitron will not change. The customer service you are accustomed to will not change and you will be dealing with the same people. Speaking personally, we enjoy working this way with you, we are proud of the consequent reputation, and we intend to keep it this way. Our new colleagues have committed to support us in this work. The Spinitron online service (the web app you use) will change by getting better. We will have more resources for R&D and some great new features are already well under way in development. What’s the nature of the merger? We reached an agreement in January and are scheduled to close the deal in May. Until then Spinitron LLC remains as the entity you do business with. After that, Eva and Tom will be employees of Congera. Not until May at the soonest. We will update you if and when we change payment options. Will the Spinitron name change? Spinitron will be the brand name for the web app with which you are familiar. Audience Engine is the umbrella brand name for all of Congera’s planned products of which Spinitron will be one. The new fundraising app Mynte, for example, is another. Spinitron LLC, on the other hand, will dissolve after the merge and there will be no corporate entity with that name. No. We’re staying put here in Boston. Audience Engine is open source. Will Spinitron be? The plan for now is to not open source the Spinitron software. It could happen one day but isn’t an immediate priority. This is a big change for our little two-person outfit. However, it won’t disrupt our service to you. And we believe can offer much more value to you as a part of Audience Engine. Frankly, we would not be taking this path were we not convinced it’s the interests of our users. We look forward to talking to you about it so feel free to get in touch. The old contacts are still in use.